Add some length to your valve and eliminate that annoying clicking with Silca's Valve Extender. For a modest piece of equipment, there's a lot to like about these little presta valve extenders. As with others, they add extra length to your tubes' valves to clear deep, aerodynamic rims, but that's not all. 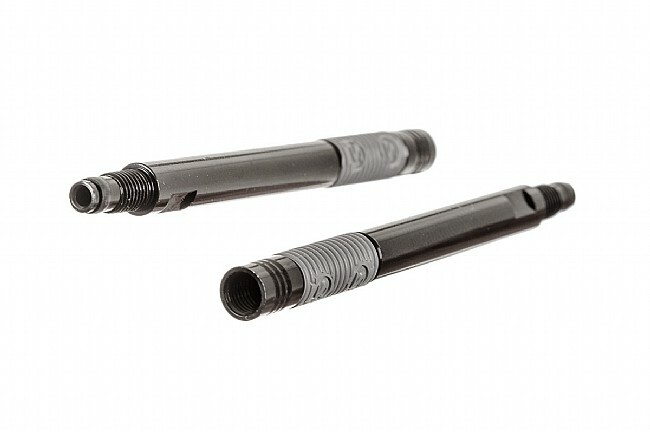 These extenders also feature a ribbed gasket to create a tighter interface between the rim and the extender which will reduce or eliminate any annoying noise from it rattling around. The Silca valve extender is also compatible with all presta valve type tubes, and will work with or without removable valve cores (it should be noted however that they do not move the core to the top of the extension). 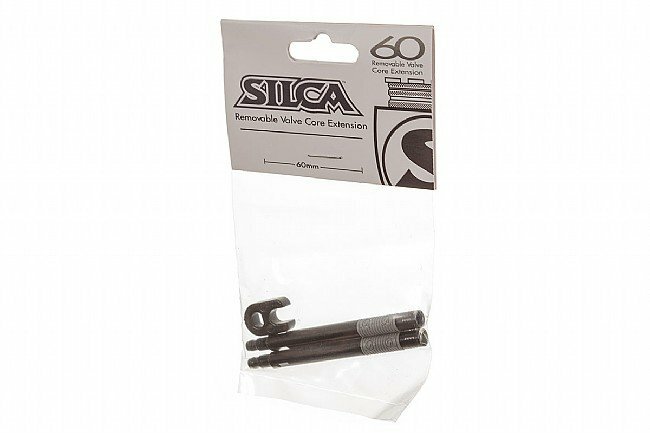 Silca Valve Extenders are available in 34mm, 45mm, and 60mm lengths. Package contains two extensions pre-coated in thread sealant, and two ring gaskets for additional seal at the valve. Made in the USA.